"The modern left is splintered in a thousand different directions, groups pulling in the same direction but weakened by their isolation – Pride shows us the way forward." It's been a bonanza year for British cinema, with standouts like Electricity, Paddington, Mr Turner and Locke (among many others) making going to see homegrown cinema a true pleasure. There's an unfortunate tendency for some Brit-flicks to have both eyes firmly mixed on the US Anglophile market, descending into twee, castrated Richard-Curtisery. 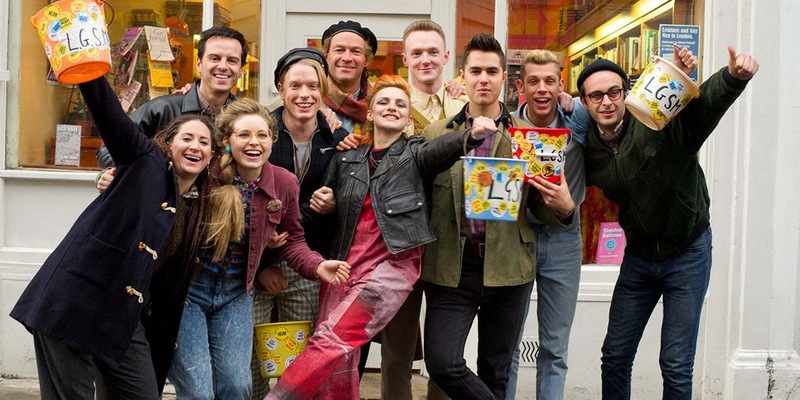 Pride stands in opposition to all that, a film that's both fiercely, sincerely political and goddamn hilarious. There's a clear-minded underlining of the notion of collective struggle and class solidarity , the film working on the basis that an injury done to a distant comrade is an injury done to you. Even though the miners and the gay rights activists share nothing in common except for being victimised by Thatcher, they come to recognise that their battles are mere fronts in a wider class war. This could be heavy-handed, didactic stuff, yet Warchus teaches us in the midst of making us laugh. Even thinking about the closing scenes gets me a little wobbly a whole six months after seeing it. "Noah is far from perfect. In fact it's often a bit of a mess, but it's a beautiful, intelligent mess packed with astounding visual imagery." It's funny how some films grow in your mind with time. I dug Noah at first watch, but I only recognised its true stature once it had a couple of months to percolate in the mind. Perhaps it was only in comparison to Ridley Scott's dull and disappointing Exodus that I realised just what Aronofsky's achievements were. It's a colossally weird bit of film-making, a big budget exploration of some bonkers theology told with an utterly straight face and an admirably ambitious set of visual imagery. If you're on the fence about this (and let's face it, bizarro epic Old Testament flicks aren't everyone's cup of tea), watch this gobsmacking 'creation' sequence. Throughout this we see echoes of Aronofsky's grubbily staccato editing from Requiem for a Dream and imagery from The Fountain all knitted with an utterly unique, clear-minded logical spirituality that's like nothing else I saw in cinema this year. That scene's the high point, but the rest isn't far behind, ideas and moments sticking in my subconscious and popping up in daydreams months and months after seeing it. 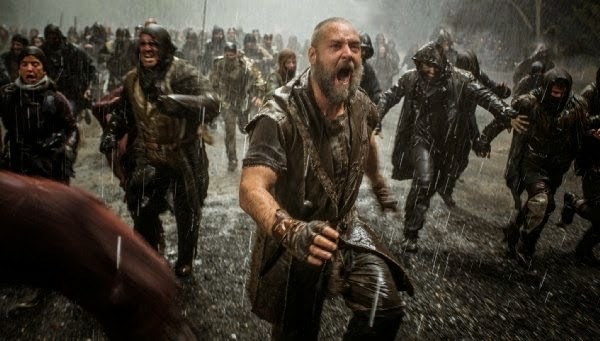 Noah is a brave movie, one that's going to rise in stature over time, and for me it's a virtuoso example of how to tackle mythology in cinema. "If Wes Anderson was God the world would be a much nicer place." I don't get people who criticise Wes Anderson for having a distinctive style. Sure, his films are a continual process of refining one particular aesthetic, but it's a beautiful, precise aesthetic and anyway, it's not like there's anyone else that's doing anything remotely similar. But The Grand Budapest Hotel feels like a breakthrough, the moment where narrative, performance, aesthetic, editing and sound all finally coalesce into one perfect whole. The end result is a film that's pretty much distilled joy; every frame crammed with details that stack up like a house of cards, leaving you drunk on the clockwork, pop-up world that Anderson has poured his blood, sweat and tears into. Also encouraging is that this is the first outright hit of Anderson's career, the mainstream and the arthouse coming together in mutual appreciation of something that's all too obviously goddamn amazing. "To know that there's people like von Trier out there with the guts to create these sprawling, messy, wonderful pieces of art make this fucked up planet just about tolerable to live on." It used to be the case that everytime I'd see a Lars von Trier film I'd leave the cinema having enjoyed myself, but vowing not to put myself through something so miserable again.Dancer in the Dark left me a miserable, quivering mess, Breaking the Waves had me staring in shocked disbelief and Antichrist? Well let's just say that was a bad choice for a date movie. So when I sat down in the Brixton Ritzy to watch his two-part five hour fuckfest I had steeled myself for complete psychological warfare. What I hadn't expected was that it'd be so damn funny. Seriously, Nymphomaniac is sticky, gooey and oozes fluids all over the place, but it's got a surprisingly finely tuned sense of farce bubbling underneath. Charlotte Gainsbourg latches on some screwed up sense of absurdity in the material and everyone else runs with it, making for a film that's genuinely fun to watch, even as it goes off on increasingly bizarre tangents. I have a huge amount of respect for von Trier, an artist who's not afraid to piss everyone off, stick a middle-finger in the face of respectability and chuck a battering ram at boundaries. Nymphomaniac is the work of a master provocateur, jabbing the audience right in their prim, repressed sensibilities. "No film like Boyhood has ever come to cinemas before. 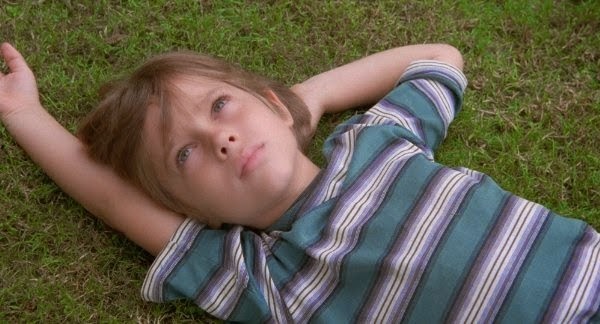 No film like Boyhood will again." I go to the cinema to experience new things. All too often films try for this; be it with colossal sets, warehouses of computers crunching polygons, 3D imagery or just plain intense maximalism. All usually fail, increasingly polished echoes of what I've already seen. Linklater's Boyhood beats them into submission, and it does it without oodles of cash or high technology. Linklater's raw material is time, patience and artistic confidence. Boyhood's central premise, that it's filmed over 12 years with the same cast, is arguably a gimmick, but boy howdy what a gimmick. Under the simple domestic surface lies infinite depths; time capsules of politics, fashion and culture, musings on the nature of family and personal development and a precisely observed set of emotions. Godard famously said that cinema is truth 24-frames-per-second and this has rarely felt more accurate than here. Allow yourself to get sucked into Linklater's world and you feel all kinds of unique feelings bubbling inside you: parental worries about the lead's development, reflection on your own development, empathy with your own parents and the disturbing sense that time is slipping through your fingers. It's a titanic piece of film-making, all the more notable for the fact that this technique can only really be done once and never again. But Linklater has given something to cinema history in Boyhood, something that can sent into the future to show future generations what life was really like for a brief, mixed-up couple of years in the early 21st Century. As soon as I walked out I knew could be no real competition for Boyhood to be my film of the year. There's nothing else remotely like it.